Wilson-Smith, Anthony. "Emily Murphy's Famous Triumph". The Canadian Encyclopedia, 15 June 2017, Historica Canada. https://www.thecanadianencyclopedia.ca/en/article/emily-murphys-famous-triumph-feature. Accessed 20 April 2019. 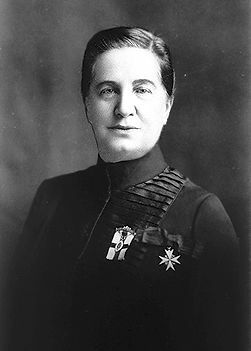 In 1916 Murphy was appointed police magistrate for Edmonton, the first woman magistrate in the British Empire (courtesy PAA). 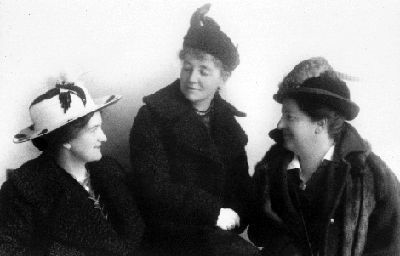 Nellie McClung (left), Emily Murphy (right) and Laura Jamieson (March 1916) were the leaders of the feminist cause in western Canada (courtesy City of Edmonton Archives). "I feel equal," wrote Emily Murphy in 1927, "to high and splendid braveries." 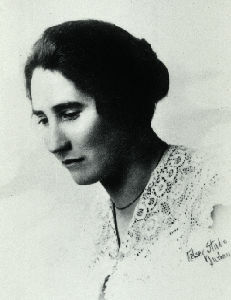 By that point in her life, the 59-year-old native of Cookstown, Ontario, had earned the right to big ambitions: her achievements included turns as a successful writer (under the name "Janey Canuck"), social activist, self-taught legal expert and, as of 1916, the first woman magistrate in the British Empire. She was also a wife and mother. What she was not, under the law of Canada, a "person" because she was a woman. She first discovered this on her first day on the bench in 1916. Murphy was challenged by a lawyer who insisted that as a woman, Murphy was not a person under the terms of the British legal system then in place in Canada. Murphy was infuriated by that assertion — and decided to change the law behind it. Over the next decade, she gained four important allies — Henrietta Edwards, Louise McKinney, Nellie McClung and Irene Parlby — and together they became known first as "The Alberta Five"and eventually, as their renown grew, as "The Famous Five." All were Alberta residents, and each had a strong will and a commitment to social justice. McClung, McKinney and Parlby had served in the Alberta legislature; the Montréal-born Edwards was an expert in laws related to the rights of women and children. The five women joined as petitioners in the "Persons Case" — brought before the Supreme Court of Canada in 1927. The goal was to have women declared as legal "persons," which would make them eligible to hold appointive positions, including in the Senate. They filed their petition on 27 August 1927, asking whether it was constitutionally possible for a woman to be appointed to the Senate. The federal government referred the question to the Supreme Court, asking: "Does the word 'Persons' in Sect. 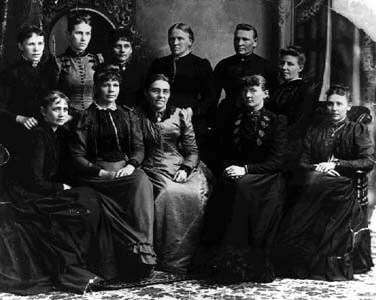 24 of the British North America Act, 1867, include female persons?" On 24 April 1928, the court responded, unanimously, that women were not Persons under Section 24, and that they were not eligible for appointment to the Senate. But less than two months later, on 18 October 1929, the British Judicial Committee of the Privy Council — which had precedence over the Supreme Court — overturned that decision. The Liberal government of Prime Minister Mackenzie King moved relatively quickly after that, appointing Canada's first woman senator on 15 February 1930. It was not, however, Murphy (a Conservative), as many expected. Instead, the choice was Cairine Wilson, a fluently bilingual Montréal native who was a Liberal Party activist. Ironically, Wilson's husband didn't want his wife to take paid work, and advised the Governor General that she did not want the position. However, Wilson was offered and accepted the appointment anyway. In any event, Murphy did not have long to savour her victory: she died in October 1933, aged 65. Murphy is best remembered for that successful battle — dramatized in one of Historica Canada's Heritage Minutes. It still stands as a key step toward women filling more important roles in Canadian politics and society. As one measure of that advancement, in 2013 the premiers of Canada's four most populous provinces — Ontario, Québec, British Columbia and Alberta — are women, as are the premiers of Newfoundland and Labrador and of Nunavut. Murphy's achievement also stands in contrast to her views on other issues — such as her opposition to non-White immigration and her support of eugenics, a pseudo-scientific study of hereditary issues. The views she expressed on those topics are now clearly offensive and outside of mainstream attitudes — and justifiably and negatively affect the way she is remembered. But her achievements on behalf of women remain indisputable — and to the benefit of all.